Megan McDowell is a translator based in Santiago, Chile. She has translated a number of titles by Alejandro Zambra, including Ways of Going Home (2013), My Documents (2015), Multiple Choice (2016), and, most recently, the essay collection Not to Read. 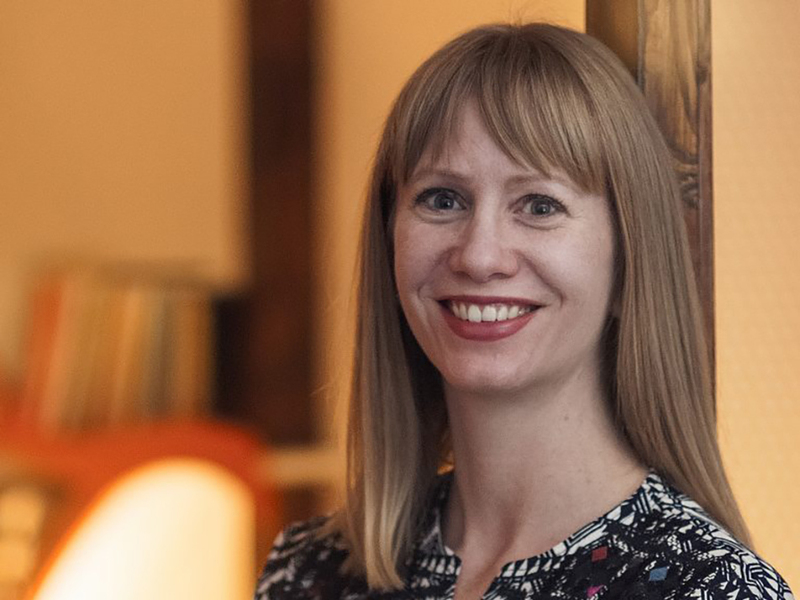 She has also translated books by many other contemporary authors from Latin America and Spain, including Samanta Schweblin, Mariana Enriquez, Lina Meruane, Diego Zuñiga, and Carlos Fonseca. Her translations have been published in the New Yorker, Tin House, Paris Review, Harper’s, McSweeney’s, Words Without Borders, and Vice, among others. Her translation of Ways of Going Home won the 2013 English PEN award for writing in translation, and her translation of Fever Dream was shortlisted for the Man Booker International prize in 2017. In reviewing Alejandro Zambra’s Not to Read for Splice, Jason DeYoung praised McDowell’s translation, and her introduction to the text, writing that the book “offers a generous helping of Zambra’s large-hearted prose” and is “an excellent book to be read as a way to tie Zambra’s own writings together”. 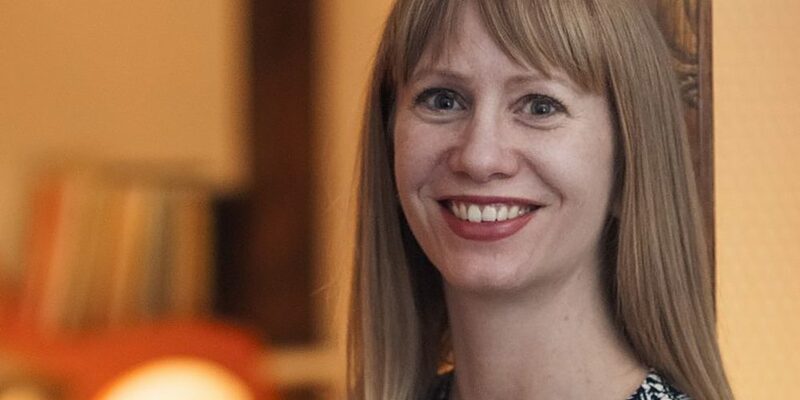 Following the recent publication of the book, Megan McDowell was generous enough to engage via email with Daniel Davis Wood — while juggling many other commitments! — to discuss her partnership with Alejandro Zambra and the pleasures of translating his work. 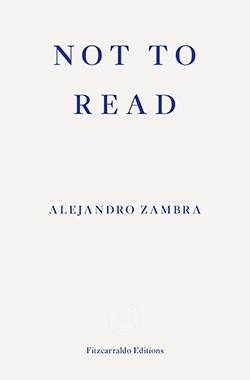 Not to Read is the fifth book you’ve translated from Alejandro Zambra’s body of work, but all the others so far have taken the form of short stories or novels. How is Zambra the essayist different from Zambra as a writer of fiction, and how did this experience of translation differ from others such as Multiple Choice? I’ve learned through the few non-fiction books I’ve translated that having to stay faithful to actual facts can certainly feel limiting. Your comparison to Multiple Choice is right on, because that’s an experimental book that would have been impossible to translate ‘literally’, but lent itself to adaptation to fit the English language. Since that book is so dependent in parts on wordplay and cultural references, there was no other way it could have worked, I think, but to play fast and loose with ideas of ‘fidelity’. With Not to Read, the challenges were different. It involved a lot of research — there are a lot of quotations of other works, and if a translation of any of those works existed, I wanted to use it. In the cases where I did have to translate the quotations because none existed or I couldn’t get my hands on them, I was very worried about getting things wrong. When you’re only translating a short excerpt and you haven’t read the work, there are all kinds of things you could misread. I think I drove Alejandro a little crazy asking him to double-check those translations. Were there any particular rewards? The rewards were readerly: I have a broader panorama of Latin American writers, and an interesting to-read pile beside my bed. Also, as you mentioned, I’ve translated several of Zambra’s books, but it’s been a while since Multiple Choice came out, and it was a joy to get back into his voice. In your introduction to Not to Read, you mention that the original text, No Leer, has gone through several incarnations since its publication in 2010, “of which this English version is only the most recent”. This version, you add, “includes additions and subtractions to the nucleus of the original book”. First of all, can you elaborate a little bit on what has been added? The original Spanish version compiles short reviews published in the press relatively early in Alejandro’s career. Since the last Spanish edition in 2012, Alejandro has written several essays and presentations that we included in Not to Read; I wanted the book to span the whole of his career, and we took the approach of including all kinds of non-fiction. I went to see Alejandro give the talk that ends the book, ‘Free Topic’, when he was invited to the Cátedra Bolaño at UDP in 2016, and I immediately thought we should put it in the collection. We went back and forth on whether or not to include it, but in the end I’m very glad we did. In general, I liked the notion of including more personal essays that compliment and build upon the shorter criticism. They give us an understanding of how Alejandro introduced certain ideas in some of the earlier pieces and fleshed them out in the later ones. We also added some pieces just for fun. For a time, Alejandro wrote parodic pieces for the newspaper The Clinic; the idea was to review books that weren’t literary as if they were high art. So there’s a review of a wine-tasting manual, a book of poems by Karol Wojtyla (otherwise known as Pope John Paul II), and a book of horoscopes. And what about the things you left out? What sorts of pieces didn’t make the cut, and what was the rationale behind omitting them? There were other, earlier pieces we included here that were not in the Spanish versions of No Leer. The section entitled ‘Literature of the Children’, for example, takes several shorter pieces about books about parents and groups them together; we included a few additional pieces there. We also added ‘The Punta Arenas Cemetery’, part of which appears in Ways of Going Home, and which discusses a particular kind of Chilean writing from the south. I was trying to skirt a line of maintaining the Chilean-ness of the book while also making it welcoming to English-speaking readers. One essay we took out focused specifically on some peculiarities of the ‘Chilean’ language as compared to Spanish. To translate it, I would have had to explain a lot — what the words meant, how they were different from Spanish Spanish, and so on. The subject is interesting, of course, but in such a short space it would have been like over-explaining why a joke is funny and losing all the humor. In your introduction, you also say that by the time Alejandro Zambra “stopped contributing criticism to the Chilean press”, circa 2009, he had “consolidated both a certain renown and a voice, and developed a way of thinking about literature”. His criticism has some noticeable features — unashamed enthusiasm for his subjects, the use of the first-person voice, a focus, above all, on the impressions made by works of literature — but, in your judgment, what is it that makes his “way of thinking about literature” so distinct? It’s hard to separate his way of thinking about literature from his literature. I think you highlight some key things, but I would focus on the intimacy of his writing. I think both his criticism and his fiction are examinations of received ideas about literature (and received culture in general), in which he searches for his own voice within that context. These critical pieces show Alejandro looking at other writers who have struggled to find, and who have found, their voices, and he clearly learns from them. They don’t tend to be canonical writers, the writers of Literature who have a solid, ‘authorial’ voice (think Vargas Llosa), but rather writers who are engaged and really struggling with questions of how and why to write. That’s why Ways of Going Home is such an important book in Alejandro’s oeuvre and in Chile. It depicts a character/writer dealing honestly with the sense that the story/literature belongs to those who came before. Alejandro grew up in the 1990s under the Pinochet dictatorship, and the kids of that time had the sense that their parents were the ones who made history — they were good guys or bad guys, and they acted. The generation that came afterwards grew up in a kind of silence, both imposed and implicit. People of Alejandro’s generation were constantly told they didn’t understand, they were too young, they hadn’t participated in the large historical events. Likewise, in Not to Read Alejandro references the teachers who always told their students they hadn’t read enough, didn’t know enough. Those two things are entwined, and Ways of Going Home is an example of a writer honestly thinking about how to participate in the narratives of history and literature. It’s hesitant, full of doubt, it stops and starts, feints and retracts; in the end it narrates a true reality. And it resonates — I can’t tell you how many Chileans have told me how much they identify with that book. It’s difficult to imagine the place that Zambra holds as a critic in the Latin American literary scene. He’s so iconoclastic, taking swipes at the likes of Harold Bloom and Pierre Bayard, and he focuses so often on the tactile experiences and ancillary forms of literature (notes in margins, letters, photocopied pages), that it’s difficult to think of an Anglophone critic of any stature who has similar tendencies. How has his critical work been received by readers, peers, the literary ‘establishment’? Well, I think the answer is that he’s not really known as a critic, not in Latin America or even really in Chile. He started out as a critic here, and there are people who have followed him since then, but of course he’s mostly known as a fiction writer. Alejandro started writing criticism in 2002. He was largely unknown then (he’d published two poetry books) and for a couple of years he wrote weekly reviews. He came to be a critic, incisive and unafraid to say what he really thought, which is often hard for a young unknown. Alejandro came from an academic background, and, he says, in that milieu it was looked down on to write in the press. But he was and is a person deeply steeped in literature, and his opinions have definitely led readers to pick up certain authors. He grew tired of the weekly gig pretty quickly, for a lot of reasons that come up in the book — the pressure to be the first to write about the newest book, the necessary airs of authority — and he gave it up and began to write about what he wanted. Those are the pieces that appear in Not to Read, and they’re basically a writer’s thoughts on writing and reading. But I think it’s fair to say that a lot of writers from Zambra’s generation and younger started out writing for the press. This is a bit of a tangent from your question, but it’s worth noting that in Chile, two of the biggest magazines (and, I think, the only ones that published fiction) closed down last month. One of them, Paula, sponsored a prestigious story prize. The other, Qué Pasa, was edited by another writer I translate, Diego Zúñiga, who has a great eye for culture. The space for culture writing in periodicals is definitely shrinking, and I wonder how that will affect future generations of writers and readers. Lastly, you admit that many of the books mentioned in Not to Read are books that you hadn’t heard of before, titles that you discovered while translating Zambra. Can you name a couple of the discoveries that made the strongest impressions on you? What was it that impressed you most about them? Have they been translated into English? I’ve not read much Natalia Ginzburg, but what I sampled while working on this book — Family Lexicon — made me want to read more. Same for Mario Levrero, who I don’t think is translated but I’m sure will be soon. I’m also really curious to read El desierto y su semilla, the Jorge Barón Biza book that Alejandro talks about in the context of ‘Literature of the Children’. A couple of people whose opinions I trust have recommended that book to me as one that should be translated. Aside from the fact that it sounds like a very intense book, it also seems like it would be a real challenge for a translator because of the use of “cooliche,” the mixture of Italian and Spanish that immigrants speak in Argentina. I’m intrigued.